Nothing feels more like summer in the city than Concerts in the Courtyard! Tucked inside the MFA’s Calderwood Courtyard, this season-long series showcases the hottest, most diverse acts from Boston and around the globe. Doors open at 6 pm. Music starts at 7:30 pm. 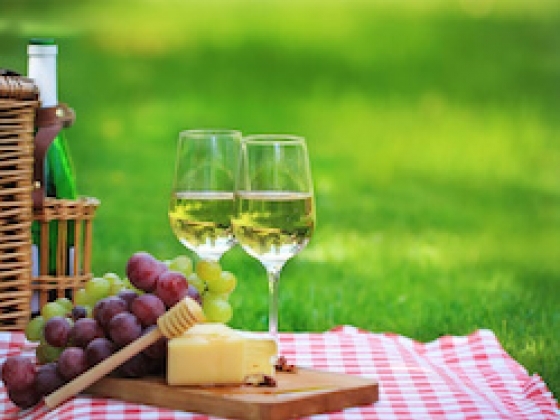 Pack a picnic and enjoy Boston’s favorite summer music series! This year, Concerts in the Courtyard invites you to bring your own food and nonalcoholic beverages for an al fresco evening in the MFA’s Calderwood Courtyard. Wine and locally brewed craft beers are available for purchase, as well as concession snacks. Other MFA Dining Options are also available. Looking for an extra special evening? Members and their guests can enjoy the concerts under the stars from the patio of the MFA’s fine dining restaurant, while enjoying signature cocktails and table service! Choose “Member: Terrace Front” to reserve table seating and “Member: Terrace Rear” for partially obstructed hightops/bar seating. Terrace seating opens at 6 pm. Reservations are released 30 minutes after the concert begins; we recommend arriving promptly. Guests arriving after this time will be seated at the discretion of the host staff. 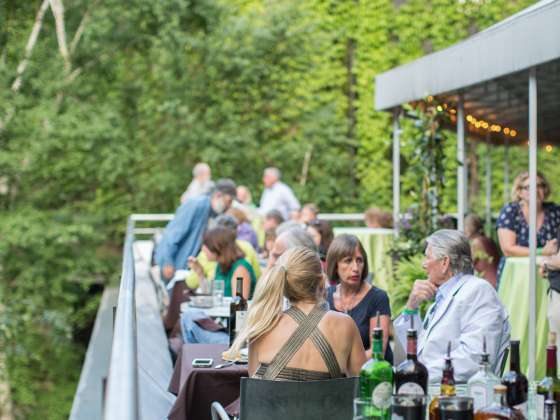 Members can purchase additional tickets for the restaurant terrace at nonmember prices. Courtyard seating is limited; low lawn chairs (3 feet or under when unfolded) and/or blankets are recommended. Tall chairs are not permitted. You may bring your own food and nonalcoholic beverages. All bags are subject to inspection by Museum staff. For more information about what you can bring and inclement weather, please see Concerts in the Courtyard Policies. The Elaine and Jerome Rosenfeld Concerts in the Courtyard is supported by Elaine and Jerome Rosenfeld. For summer concerts, the MFA’s restaurant turns its patio into an exclusive viewing area for MFA members and their guests. Enjoy the concerts and the menu! Bring your own food and nonalcoholic beverages for an al fresco evening in Calderwood Courtyard. Wine, beer, and snacks available for purchase.